As most parents know, traveling with small children can often be difficult because of the bulky and awkwardly shaped accessories that must accompany small children. This is especially true when traveling with infants. One of the biggest issues that parents traveling with infants have to contend with is where to safely place their children during nap time or bedtime. 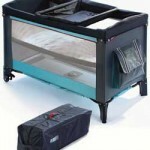 This is because most infant’s cribs cannot be easily transported. 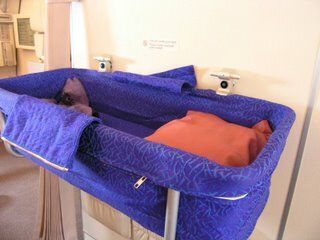 Parents traveling by bus or airplane typically have no room for oversized items such as a crib. Additionally, parents may be fearful that their child may roll off of the hotel bed since the child will not have the same type of secure place to sleep in a hotel room as they do at home. 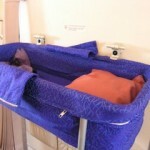 Travel bassinets come in a variety of shapes, sizes, and colors, which provides for easy travel while maintaining one’s unique sense of style and personality. 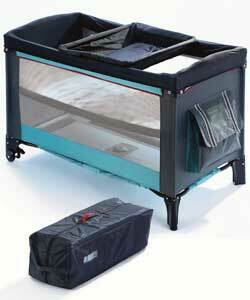 Prices for a travel bassinet range from as little as $19 all the way up to $300 or more. 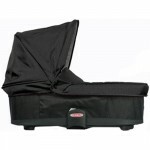 In general, the more features the travel bassinet has the greater its price. 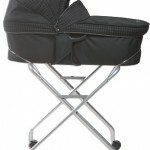 Travel bassinets can go just about anywhere and can be easily packed onto just about any mode of transportation. If traveling by personal car, truck, or SUV, parents may opt for a larger travel bassinet that does not fold into as small of a package as other types of bassinets. 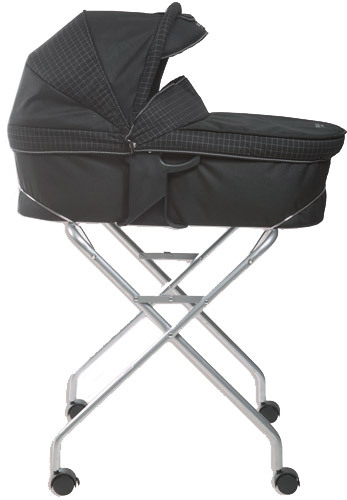 Parents traveling by public transportation, such as airplane or bus, may need a travel bassinet that folds small enough to fit into a diaper bag. Travel bassinets are a great idea whether parents intend on simply staying indoors with their children or if they plan on heading outdoors, such as to beach or the park. Some models of travel bassinets can be used both indoors and out and provide a comfortable place for your child to rest regardless of where in the world you are. With affordable prices and great selections, travel bassinets may be an on-the-go parent’s must have accessory. This entry was posted on Saturday, February 6th, 2010 at 5:24 pm	and is filed under Bassinet Guides. You can follow any responses to this entry through the RSS 2.0 feed. You can leave a response, or trackback from your own site.